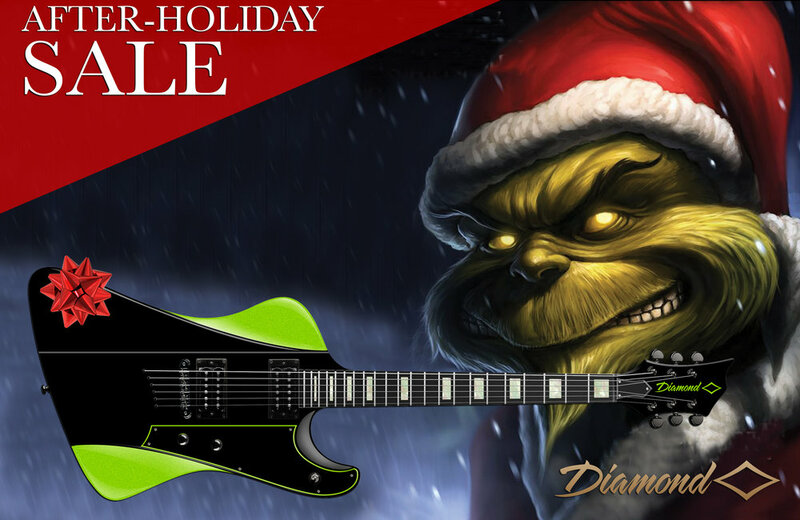 Check out our "Grinch-endorsed" After-Holiday Sale with miserly savings!!! Bad Santa is axing prices so you can fill your stocking! NOW THROUGH JANUARY 2, 2017 AT MIDNIGHT!!!! 3 ways to save! All sales are subject to the Terms & Conditions below. 1) UP TO 40% OFF ON SELECT PRIME MODELS! Check out the great deals below on prime models! No code needed! Just click and buy! If a model below is marked "Out of Stock", we have sold out of that model. With these prices, they'll go fast so don't miss out. All sales are subject to the Terms & Conditions below. 2) GET 15% OFF SITE-WIDE ON NON-SALE MODELS! Yessireee, Bob! 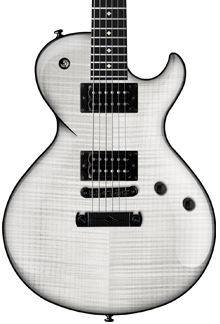 Don't see the guitar you want on the After-Holiday Sale below? Don't "fret." Save 15% on most in-stock guitars. Simply pick the in-stock guitar you want, and use this code during checkout*: SHOP ALL ELECTRIC GUITARS HERE! *Certain models excluded. Site-wide code does not apply to HFREX15-RMT, MONEX15-IB, or any out-of-stock models. ALL Diamond Amplifiers are made to order. Expected and estimated shipping time is APPROXIMATELY 90 days from date of purchase. All 2-payment options are down-payments only. As these items are built just for you, they are non-cancelable orders. 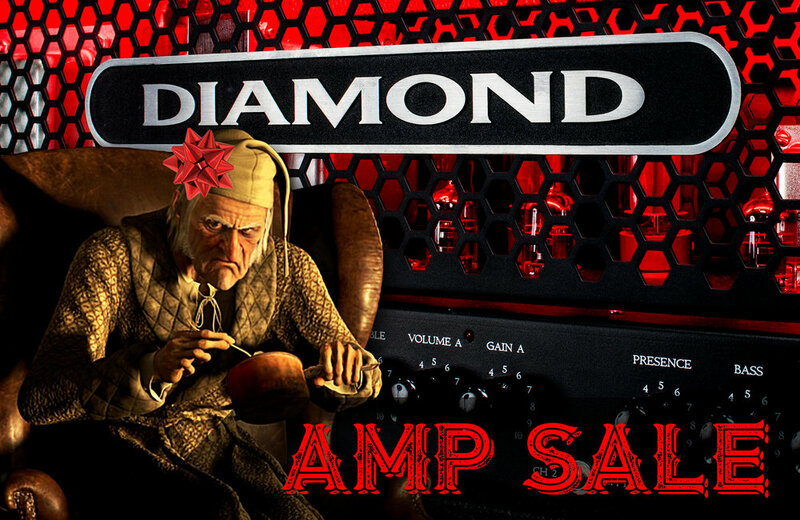 Buy any amp below and get a BONUS $150 CREDIT on any guitar! After your checkout, we'll email you a personalized code! Offer valid even on sale items below! Click the picture to read more about this amp! Click the picture to read about this amp! DON'T MISS THESE GREAT ADD-ONS! DON'T FORGET A HARDSHELL CASE! Don't forget to use your code and add a hardshell case! DON'T FORGET T-SHIRTS AND ACCESSORIES! Click the picture to ship Merch and Accessories! *After-Holiday Sale Items range from 20% to 50% off. Limited quantities available of each model. 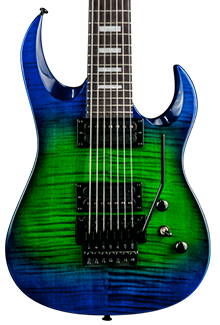 All guitars are factory new and come with full manufacturer's warranty. Due to the incredibly low prices, all sales are final. No refunds or exchanges for other models will be permitted. No other promotion may be used with these offers. 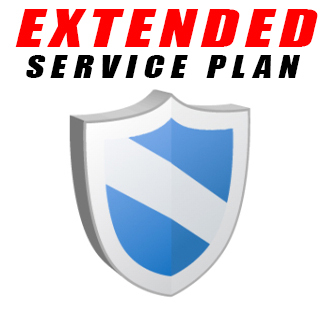 If you are successful in using some other promotion due to an error on our part, you will have to pay the inadvertent reduction in price prior to shipping. All sales are subject to our Return Policy. If anything in this paragraph conflicts with our stated Return Policy, this paragraph will control.